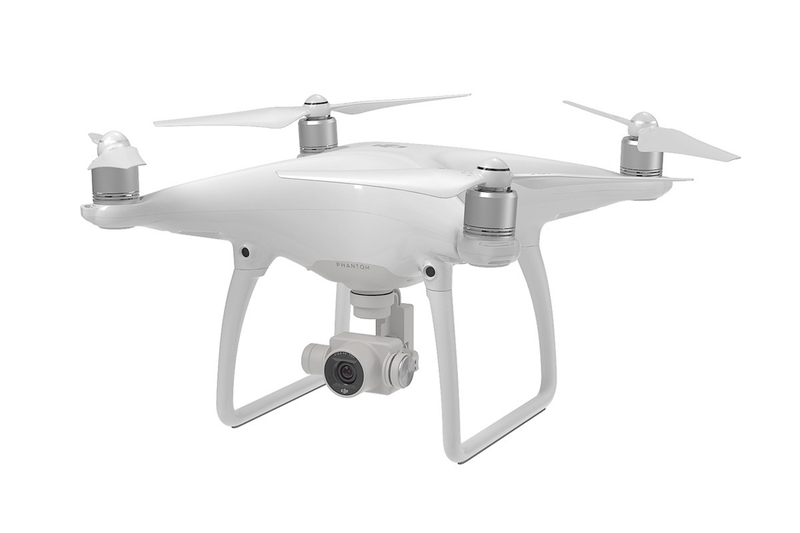 A sleek new design with magnesium unibody construction, obstacle avoidance sensor, dynamic range enhancing video modes, and a two-point-of-contact gimbal mount are just some the features DJI have introduced with the Phantom 4 Quadcopter. Thanks to improvements in efficiency as well as its intelligent power management system, the quadcopter boasts up to 28 minutes flying time. Its camera shoots DCI 4K (4096 x 2160) video at 24/25 fps and UHD 4K (3480 x 2160) at up to 30 fps. There is also a 120 fps mode in 1080p resolution for slow-motion effects. The camera will also take 12MP still photos in either DNG RAW or JPEG, with single shot, HDR, burst, and time-lapse modes to choose from. One area where fixed-wing planes have traditionally held an advantage over multi-rotors is performance. The Phantom 4 aims to shake off this stigma. With its Sport Mode, the quadcopter can achieve a top speed of 44.7mph. That&apos;s enough speed to take to the races or follow fast-moving subjects, such as a vehicle or skier hurling down the slopes. Since you may need to slow down in a hurry, Active Braking brings to the quadcopter to a halt much faster than drag alone otherwise would. Change the Phantom 4&apos;s flight modes to suit your mood or the task at hand. The Phantom 4&apos;s lightweight magnesium unibody core and streamlined body combine to create a smooth, responsive flying experience with predictable and precise movements. The integrated gimbal has been moved closer to the body, shifting the center of gravity closer to the quadcopter&apos;s core and boosting stability even further.